SpiceJet Boeing 737-800 VT-SPJ. Photo copyright Devesh Agarwal. SpiceJet reported its highest ever profit of Rs 238 crores for fiscal year 2015-16, third quarter ending December 31, 2015. 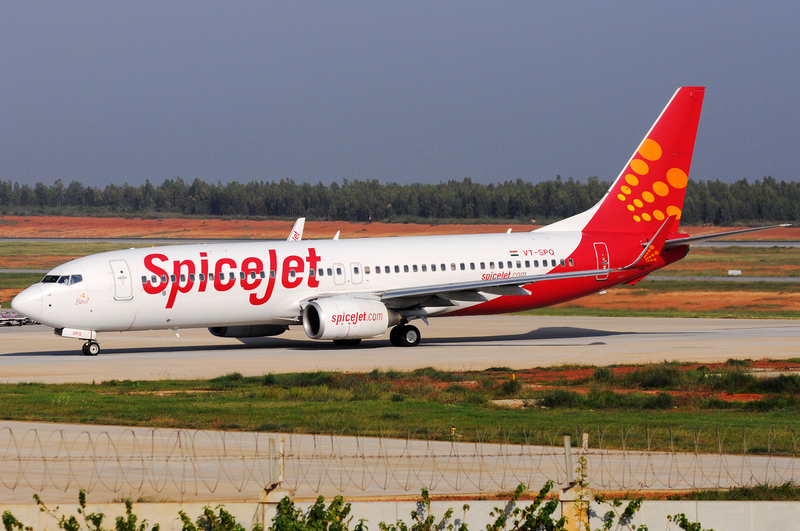 With revenues of Rs 1,439 crores, this continues the upward climb for SpiceJet. Last year during this same period SpiceJet was in turmoil, on the brink of a shut-down with auditors doubting its ability to continue as a going concern. It was forced to return some of its leased aircraft which brought down its fleet size by almost 25% to 34 in-service aircraft which entailed lost market share, cancelled flights, delayed schedules, and a hike in, what we at Bangalore Aviation call, “the FUD factor” (fear, uncertainty, doubt). The resultant hit on the goodwill of the airline was severe. Fortunately, the promoter, who is also the founder of SpiceJet, came on board and infused the much-needed funds thereby literally bringing SpiceJet back from the dead. The timing could not be more perfect. 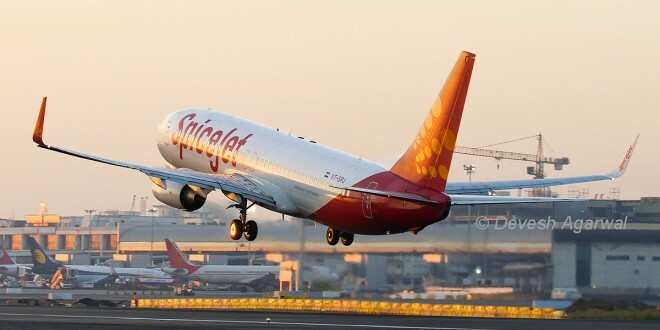 Favourable market conditions, ATF prices at an all-time low, a recovering economy, increased passenger demand, coupled with scrappy, hands-on, experienced management at the helm have helped SpiceJet steer towards the path of recovery. SpiceJet has turned around a seemingly dire situation and strategically managed to re-deliver most of its older aircraft (average age of the remaining fleet was 3.9 years as compared to 6.0 years of the re-delivered aircraft). It also used the tough situation to re-negotiate some of the earlier contracts and re-work them in its favour. SpiceJet management took tough decisions, like to let go off almost a 1,000 employees. As a result, it now enjoys a much leaner cost structure with its Cost per Available Seat Kilometre (CASK) hitting a three year low of Rs 3.43. On the income side, revenue has increased to Rs 1,439 crores driven by a 15.3% higher volume of sales as compared to the second quarter ending September 30, 2015. It seems that the fare sales have indeed worked well and were able to stimulate demand. Taking a look at the cost side, Spicejet recorded a 28% jump in its lease rentals per aircraft as compared to the previous quarter. However, these were due to rupee depreciation and increased wet leases during this quarter. While Indigo’s lower than expected performance felled its share price by 28%, Spicejet saw a surge in its market capitalisation after a higher than expected earnings. Its share price rose from Rs 64.10 on January 18, 2016 to Rs 90.00 on February 01, 2016. While achieving its highest ever Revenue per Available Seat Kilometre (RASK) of Rs 4.18 and a industry leading passenger load factor of 90.7%, the company also reported higher efficiencies with a 7% improvement in aircraft utilisation. It would seem that the strategy of stimulating the market with repeated fare sales and then raising prices once a target load factor is achieved is working well for SpiceJet. Overall it has been a great year for SpiceJet and a great comeback story for Indian aviation. Yet, SpiceJet must be cautious on various fronts, and remain fanatical in its efforts to contain costs. Its competitors are expanding capacity, but SpiceJet’s new 42 Boeing 737 MAX-8 aircraft order has its delivery scheduled to begin only in 2018. Till then SpiceJet will have to make do with existing capacity. Wet leases are one way it has managed the increased demand but these can also have a considerable impact on expenses especially if fuel prices appreciate and the Indian Rupee depreciates further against world currencies. Given the volatile history of the Indian market, and the graveyards of perished airlines show, it would be in SpiceJet’s best interest to expand cautiously. 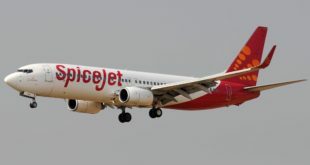 Disclosure: Bangalore Aviation’s chief financial analyst and article author, Nupur Sarraf does not own any shares in SpiceJet, editor, Devesh Agarwal owns a small quantity of SpiceJet shares. Nupur writes the fortnightly column By the numbers. She is certified financial analyst (CFA), and currently an independent consultant. A self confessed technology enthusiast, she earlier held roles in Consulting and Advisory where her work involved extensive financial analysis, benchmarking and pre-IPO research, especially in the aviation sector.